Sometimes you’re really, really hungry, and a main meal just isn’t going to cut it (we understand, being hangry is definitely a real feeling!! )—which is why we have three super starters to help wash away your hanger! Whether you get a pizza, salad, or sandwich for your main meal, any of the three starters we have will leave your taste buds happy! Like we said, we have three different starters. And to be honest, we’re pretty obsessed with all three of them! We have: pepperoni cheese rolls, wingz, and bruschetta! Today, we are going to tell you a little bit more about each of them to get your mouth watering! 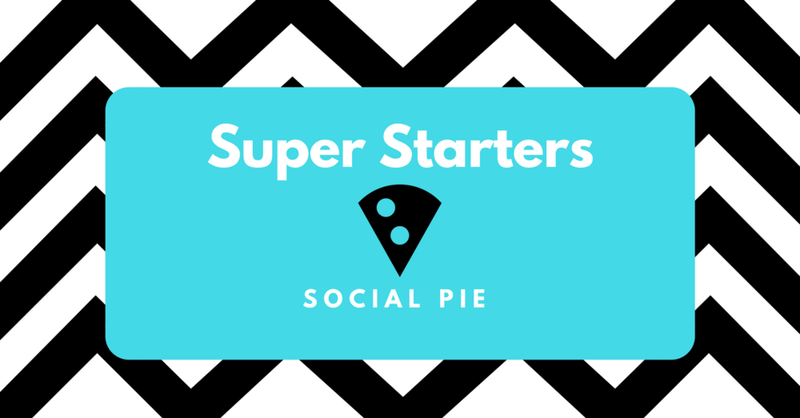 The only way to stop it is to come on in to Social Pie and try them yourself! Or, if you want to stay home—remember, we always have online ordering where your Social Pie order can be delivered or picked up! This is perfect for two scenarios: when you want pizza, but you also want a salad or sandwich for your main meal, or when you are really feeling pizza and you need to double up! This starter features rolled up dough with pepperoni, fresh mozzarella, and parmesan! On the side you will get some of our tasty home-made marinara sauce—seriously, it’s a go-to for us! These wingz are smoked and then air-fried, which gives it a delicious crunch! You can choose either: BBQ, classic buffalo, Asian chili garlic, or love/love sauce to be paired with your wingz. A great choice, if you ask us! Lastly, we have our delicious bruschetta. It is the classic Italian dish we are totally in love with. It has: tomato, basil, garlic, onion, balsamic glaze, and parmesan—and this is all tossed in olive oil. Super traditional, super delicious! If you let yourself get hangry, we here at Social Pie not only understand—but we will help you with your hanger! Stop in today to try any (or all) of our delicious starters—you will not regret it! Drink Specials at Social Pie!